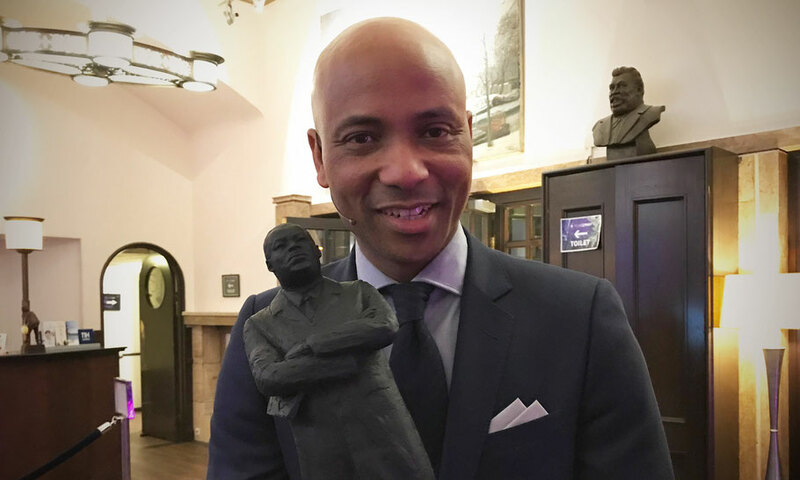 Surinamese-Dutch Humberto Tan-A-Kiam who studied law, is a famous tv and radio presenter, sport journalist and writer. Since 2013 he is the talkshow host of the popular RTL Late Night, a late night talkshow on Dutch television channel RTL 4. It has been broadcasted since August 2013. The studio is located in NH Schiller Hotel on Rembrandtplein in Amsterdam. Since he shared his opinion about Black Pete he needs security guards because he got many threats. He is also an ambassador for the Red Cross, World Wildlife Fund, in the board of Fonds Slachtofferhulp (Victims Support Fund) and advisor of the court of Overijssel. In 2014 his best sport stories were brought together in a book titled 'If winning was easy, everybody would do it' (Als winnen makkelijk was, zou iedereen het doen). He won several television awards and is an important role model.